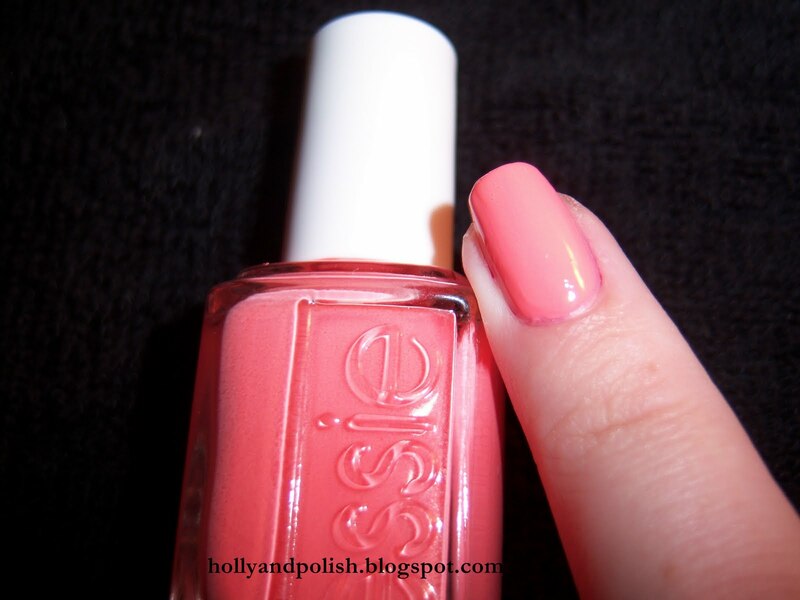 Holly and Polish: A Nail Polish and Beauty Blog: Essie Haute as Hello! 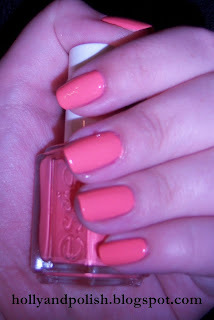 Haute as Hello is a really beautiful color! Some would probably describe Haute as Hello as a coral shade, but I think it looks kind of like a flamingo pink shade with a touch orange, if that makes sense. This is definitely a bright shade that’s perfect for summer. While the color is super pretty, the formula for this polish is terrible. It’s very thick and super hard to make even. I ended up needing to use four coats of this in order to cover up all of the parts of my nail. Last night, I had to run out to Target to pick up a couple of things and ended up buying some new polishes! I've already started swatching them, and they're super pretty, so I will probably end up posting them a little bit later!